A Recap of ASCEND 2019 and a Call to All NextGen Advisors - Allay Inc.
My team and I attended ASCEND 2019 in Nashville, which was incredibly energizing. 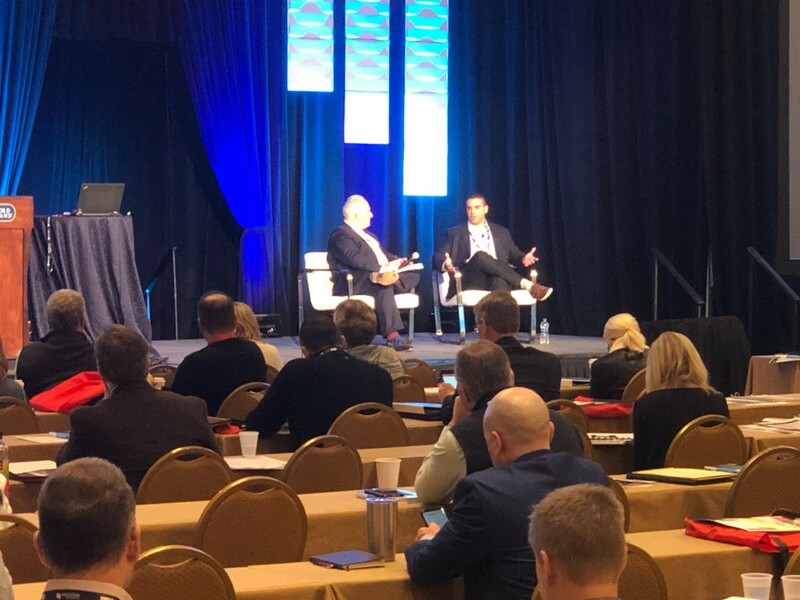 I was honored to share the stage with Nelson Griswold as he interviewed me about Allay and how we’re removing the friction associated with underwriting and recommending self-funded health plans. We heard from industry leaders on subjects ranging from the changing philosophies and responsibilities of an advisor, what it really takes to cultivate a “NextGen” firm and what impact the Goliath known as Amazon entering the healthcare space will have. The turn to self-funding medical benefits is gaining momentum because it is the only way to control how healthcare is purchased. Successful advisors are those who are taking steps to reduce the price of healthcare itself; not the price of insurance but the price of care. Technology adoption and impactful vendors partners are vital to building a program that truly controls the healthcare supply chain. Advisors can no longer afford to be reactive; they must be instrumental in helping clients to preempt cost increases. How do I build a better program that can proactively control the supply chain? How do I communicate these concepts to my customers? How do I source and qualify vendor partners for my market? How do I protect my firm from E&O liability with all the different moving parts? How am I going to find the time to build these tailored programs AND stay on top of my other responsibilities as a business owner and/or client advisor? At Allay, we’re here to help you with your self-insurance advising. We help forward-thinking benefits advisors reduce their marketing efforts by 5x for self-funded medical programs and reduce E&O risk by bringing automation to the modeling and underwriting process. My colleague Jake’s presentation from the event really tied our offering all together. You can check out his slides below. Reach out to us if you’re ready to integrate everything we learned at Ascend into your firm with Allay in 2019.